Welcome to A Sampling Bee! Today, I share with you a new beef jerky called Keto Carne! Keto Carne is a healthy jerky made with only the best, high quality ingredients. You will not find any chemicals, nitrates/nitrites or anything artificial in this jerky. Keto Carne is gluten-free, sugar-free and carb-free. Read my review below! 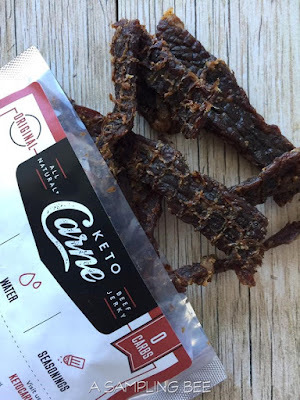 Keto Carne Beef Jerky is made with 3 simple ingredients: Beef, Water & Seasoning. That's it! The beef jerky is made from 100% USA beef. The beef is cut thick and then cooked slowly. One 2.5 ounce bag has 2.5 servings. Each 1 ounce serving contains 90 calories, zero carbs, zero sugar, 490mg of sodium and 16 grams of protein. There are 2 flavors available: Original & Spicy. 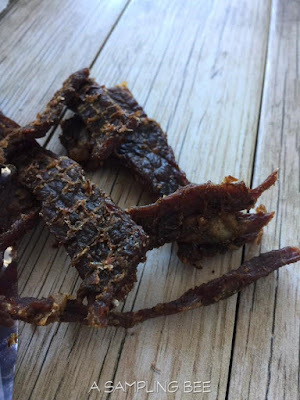 I can tell after the first bite that Keto Carne Beef Jerky is dehydrated without harmful ingredients or chemicals. This beef jerky is delicious! 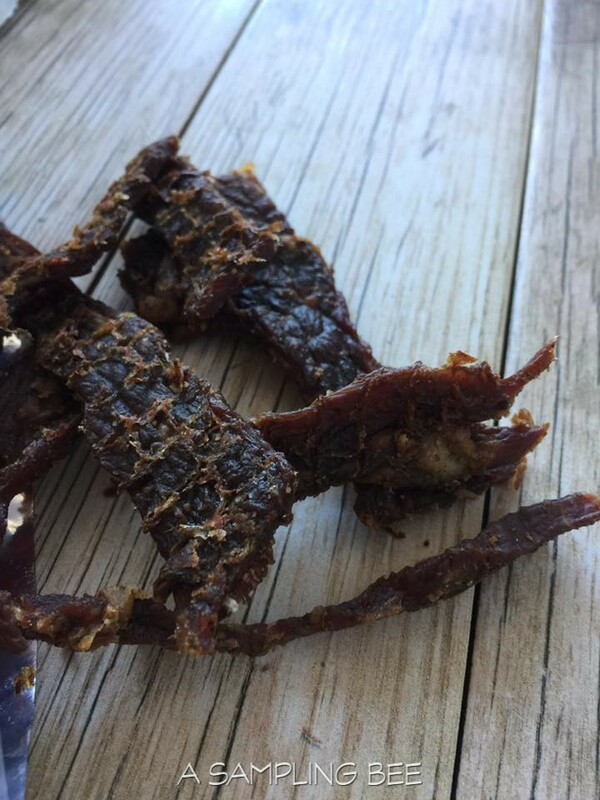 The original jerky is seasoned perfectly. The flavors make my mouth water. I need to stop myself from eating the whole bag. The meat itself is high quality. It's not tough to chew. It melts in my mouth. 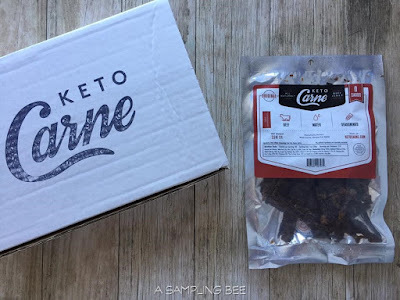 Keto Carne is an amazing jerky that leaves me craving more! I can't wait to try their Spicy Jerky! Grab a few bag of Keto Carne. The bags make a great stocking stuffer! I received free products in exchange for my honest review. All opinions are my own. Always! 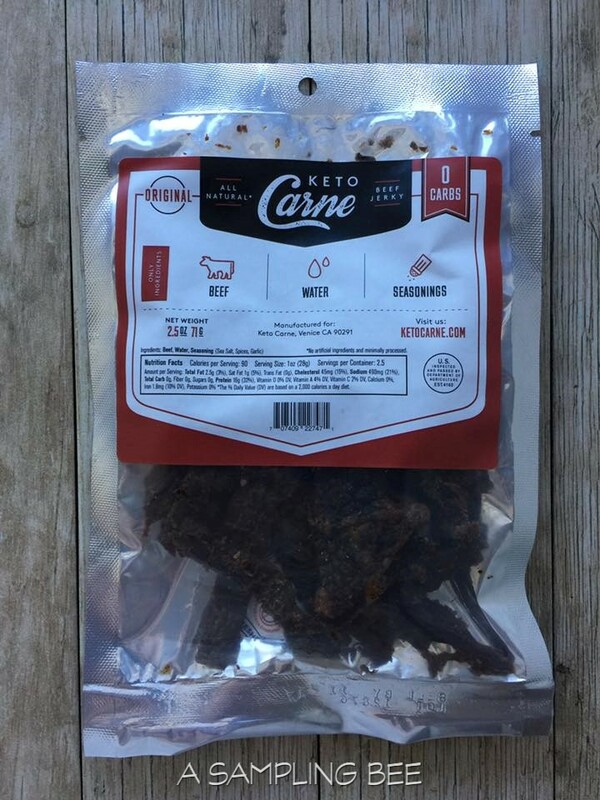 Visit Ketocarne.com to purchase. $13.99 for 2 bags!